ReMind is a handy calendar, scheduler Important date, task reminder. Stores several messages for a later date notification. Or use as a timer to inform you of tasks to do. Version 4.3 Click to Register this Product Now! School Calendar will help you with assignment organization, project due dates, and scheduling. It can even remind you when your scheduled event is about to happen. Included are two viewing modes, search, auto-backup, iCalendar data exchange. Version 3.63 Click to Register this Product Now! Version 5.0 Click to Register this Product Now! A full-featured date time calculator that used to get the result date time, calculate the differences and count the days of week, weekdays, weekends between two dates/times, get the conversion between various date time elements, calculate UNIX date. Version 6.9 Click to Register this Product Now! A complete calendar and scheduling system for your events. With OrgScheduler Pro, you can use e-mail or SMS to send appointments, reminders and invitations to colleagues, friends and family members. Version 7.9 Click to Register this Product Now! A universal scheduler for individual/business events. Includes importing from iCal,exporting to iCal/Outlook/Text/Html/PDF/XLS. Multiple styles,recurrence control,Date Navigator,timeline views,reminders,Print Designer-all of this is at your disposal! Version 7.2 Click to Register this Product Now! A networking calendar and scheduling system. 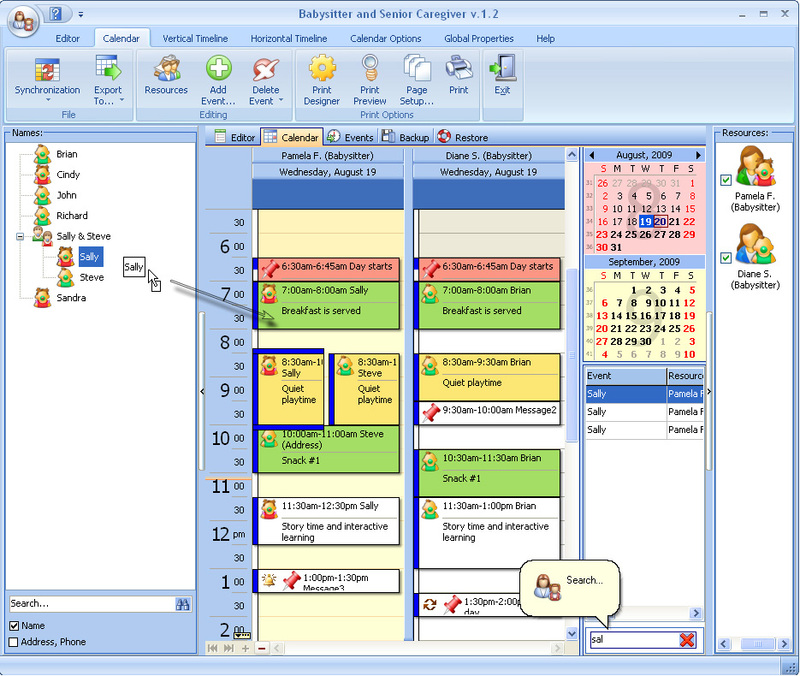 Calendar management is implemented at two levels: manager and users. 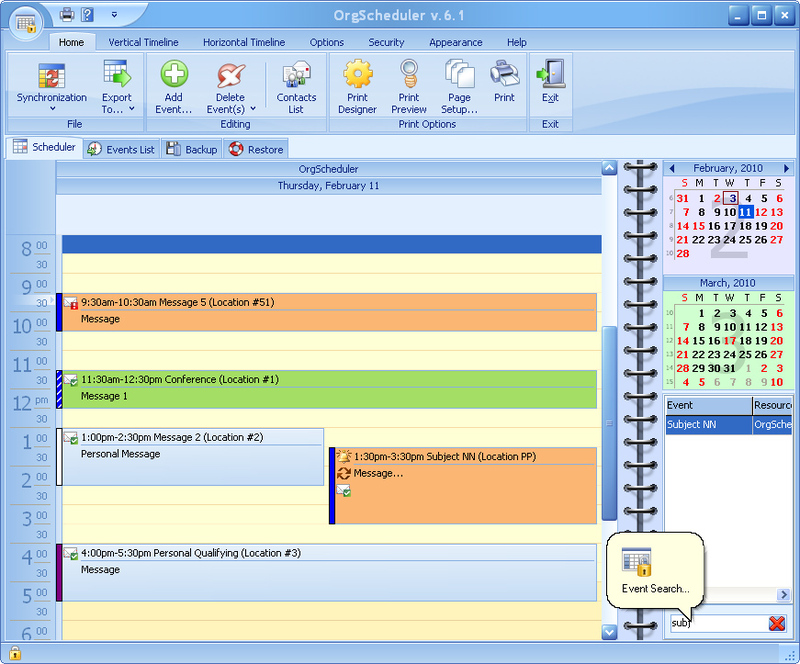 The each user maintains his own calendar, and Workgroup manager can manage all calendars. Version 3.1 Click to Register this Product Now! An easy-to-use database and scheduler. It's perfect for Live-in, Live out, Full time, Part time and Temporary caregivers to plan working hours so that the orders do not overlap with someone else and keep track of scheduled appointments. 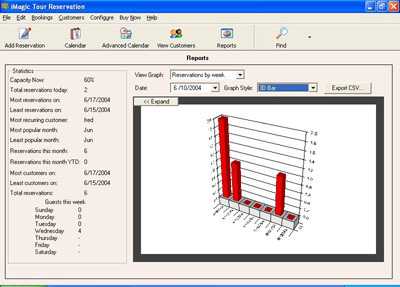 Powerful software to make your pest control business more efficient. It's perfect for workers to plan working hours so that the orders do not overlap with someone else and keep track of scheduled appointments. Version 6.0.0.2 Click to Register this Product Now! 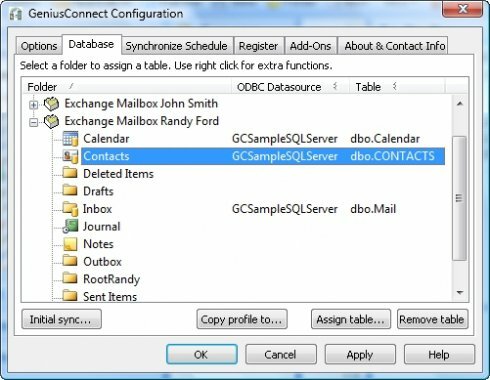 Connect Outlook or Exchange calendar to any SQL Database.You can use your own table structure and define conversions for columns with data type's that are not compatible with an Outlook field. Version 8.9 Click to Register this Product Now! OrgScheduler 1+1 gives you low cost network solution for sharing central planner simultaneously with everyone in your workgroup. Meaning the calendar belongs to everyone and everyone can read and write to it. Version 12.2 Click to Register this Product Now! An easy to use, efficient program for reminder displays on occasion dates and upcoming event schedules; And you can personalize many settings - remembering your events was never so easy! SF Kalender provides and prints 25 different calendar types, which can be individually changed. With few Klicks fastidious calendars with holidays and own dates are provided. A picture export is likewise possible. Version 2.84 Click to Register this Product Now! The best program to keep all sensible data securely password-protected on external USB disk, worry free. It provides info password-protection, spreadsheets, reminders, and just looks like magic. Give it a spin! Desktop Lunar Calendar is simple, fun and easy to use calendar. It is accurate anywhere in the world. It has two parts: image of the current moon's phase and compact, harmonic moon calendar. Full, New, First Quarter, and Last Quarter - are marked. Version 5.4.1451 Click to Register this Product Now! 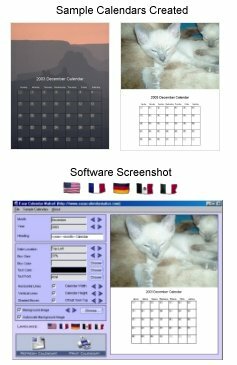 Create calendars to print in 100+ languages. More than 60 customisable styles. 1582 - 9999. Integrated Scanning & Image Editor. Predict and add Christian, Eastern Orthodox, Jewish or Islamic Events. Moon Phases, Daylight Saving. Add own events. Version 2014.R2 Click to Register this Product Now! 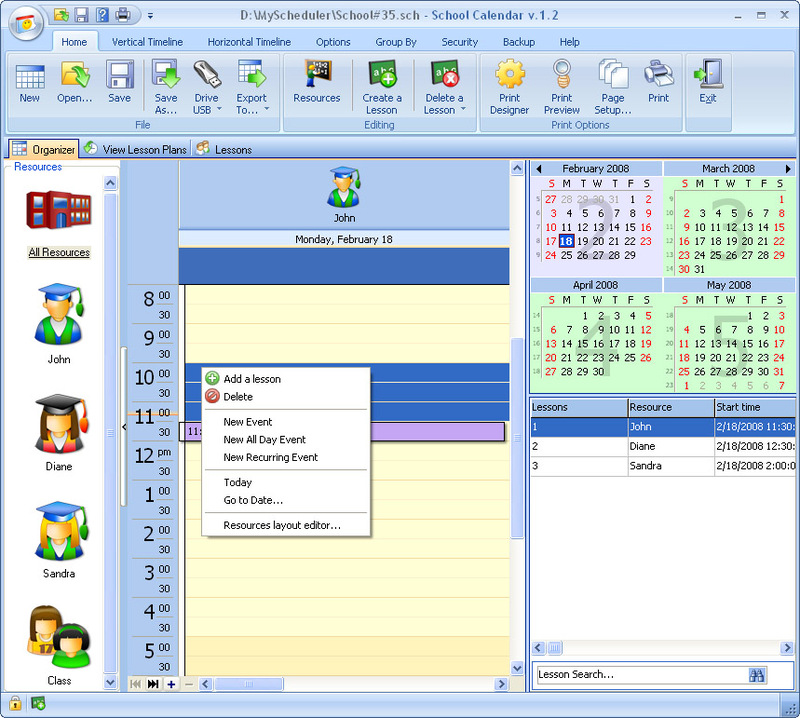 Pimero 2009 enables you to manage your appointments, contacts, tasks and notes and emails. Pimero is your Outlook alternative and will soon become a natural part of your daily work. Completely free - No registration required. 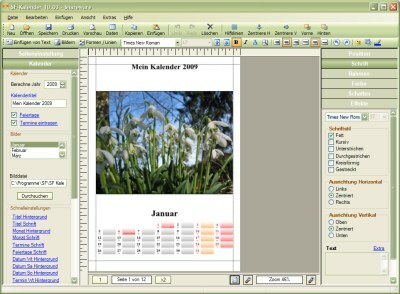 Magic Calendar Maker is a very easy-to-use utility for creating and printing calendars for one month. The user only has to select the month and year for which he or she wants the calendar. The starting day of a week can also be chosen. Alarm is a digital clock that you can set to display a message and play a sound at a time of your choice. It is meant to be of help when you want to be warned while you are working. Version 7.0 Click to Register this Product Now! Daily Planner Journal is a capable, multi-module organizer. It includes a daily planner, small daily journal and a to-do list. 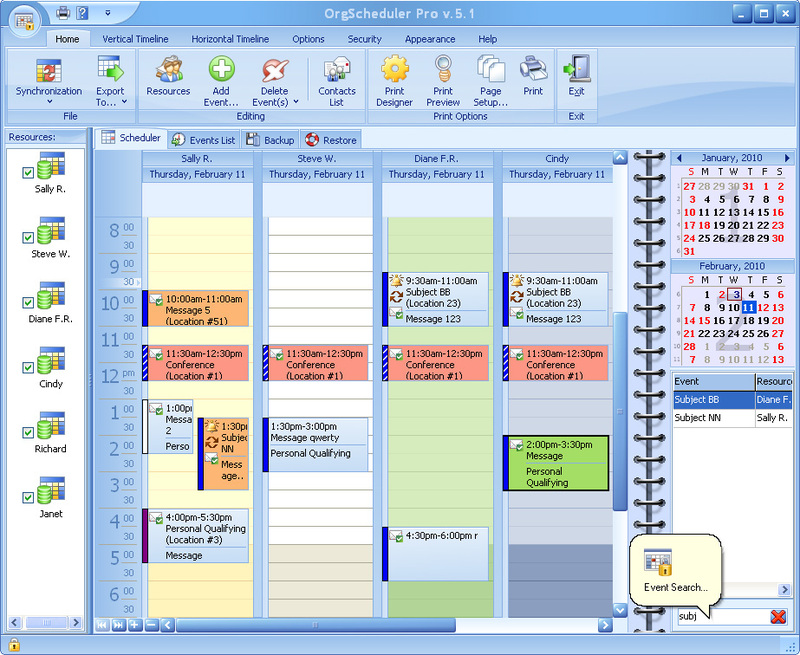 Create, display and print calendars and various kinds of schedules (sports, phone logs, appointment lists, etc.). Calendar, Schedule and Week views. Handles repeating events. Free calendars/schedules available on line. MP3-PizzaTimer is an easy to use Timer that counts down and plays your favourite music to remind you. MP3-PizzaTimer is so tiny and usefull that you will not want to miss it! CyberMatrix Class Scheduler is a simple to use single or multi-user application for scheduling student's classes. The software can be used by schools and other institutions that need to quickly schedule classes. Simple calendar maker program. Design your personalized calendar with a photo, print it or place on your computer desktop. Version 1.2.4 Click to Register this Product Now! Travelers always need to prepare well to go on their vacations. A well and efficient trip or travel plan is essential to them. YourtTrip is such an app to satisfy all kinds of traveler's need to do this. Version 2013.0.1 Click to Register this Product Now! Eshasoft Desktop Calendar Software is a user-friendly and fun to use all-in-one productivity tool. With Eshasoft All-In-One Desktop Calendar Software, you can easily organize your time and contacts, and browse the Web with no pop-ups. Makes it a snap to organize and manage household chores. Remembers any number of chores, keeps track of when each of them was last done, and prints a checklist of only the chores that need doing. Chores can repeat in days, weeks, months, or years. Simplexety is used to get the most out of Formula Parsing and Scientific Calculation. With it, you can evaluate mathematical formulas, draw graphs and program with very simple VBScript. Simplexety is a sophisticated calculation application. Make sure you don't forget about a single important thing on Halloween eve. 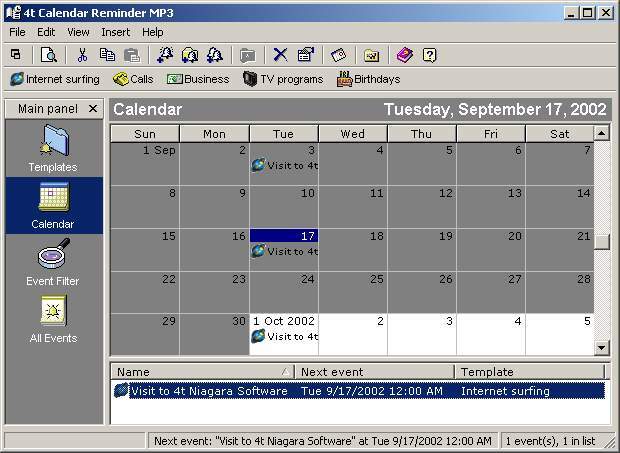 With Dark Calendar, your calendar software will finally look the way it should on this great holiday! Try it in action right away and see that evil can be really good! Version 8.0.12 Click to Register this Product Now! Create multiple alarms that repeat at simple to complex intervals. An alarm can remind you of events, visit web sites, send e-mail, play sounds, or run applications. A well-designed interface makes Alarm++ flexible and easy-to-use. The StudyMinder Homework System helps students of all ages, from middle school to college level, track their grades, prioritize assignments and better manage their study time. Get organized and get it done with this powerful student planner. Version 2.1.8 Click to Register this Product Now! A versatile desktop calendar which keeps your notes, schedules and audio in a classic "paper calendar" format. The simplest Windows calendar! Version 3.0.6 Click to Register this Product Now! Multi-task and highly customizable Alarm & Timer program. If you are tired of typing numbers then this reminder is for you. Version 3.4 Click to Register this Product Now! Countdown! takes up to 100 dates in the past or future and calculates the number of years, months, days, hours, minutes, and seconds. Also the total number of hours, minutes, seconds and weekends are displayed. DateWizard is a small reminder type program for all those meetings, birthdays etc. which you often forget. A Shortcut can be placed in your StartUp folder so that it starts every time the computer boots up. Version 2.33 Click to Register this Product Now! Version 2.27 Click to Register this Product Now! 4t Calendar Reminder MP3 can reminds you of appointments and any other events. 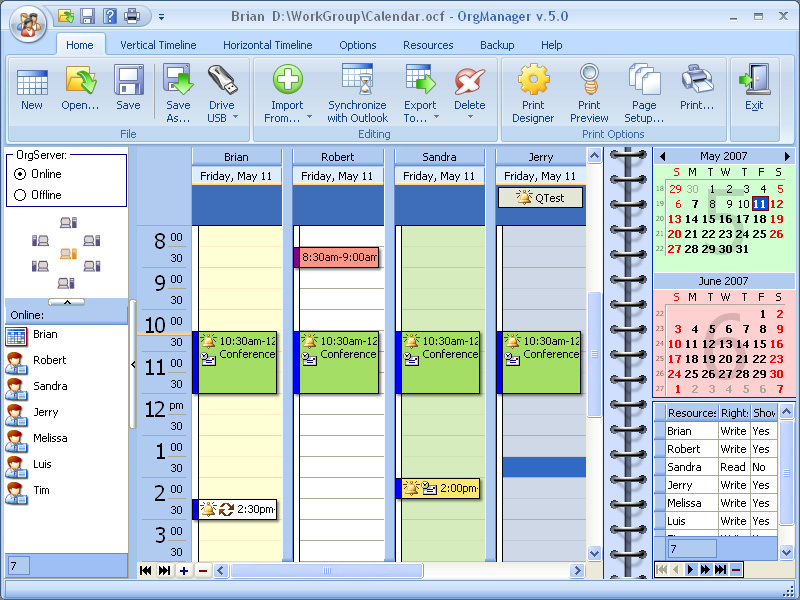 It can organize events in a MS Outlook-like calendar and arrange them in an Explorer-like interface. 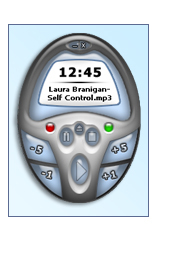 Reminders are played as MP3s, WAVs or videos, or sent as e-mail. Plan company wide events that users can not delete, have a central category and color schema, create item in mobile calendar for other user's mobile calendar. Out of office and vacation schedules. Hide private info. Bundle resource calendars to one. Version 4.25 Click to Register this Product Now! MultiCalendar Client/Server Edition (also called C/S Edition) is a set of enterprise/company network-able calendar/schedule system. A handy and powerful calendar scheduling tools for call centers, lawyers, clubs, dentals, doctors, schools, etc. Desktop Calendar Reminder is simple, compact and easy to use desktop calendar. It has digital clock, calendar and note's area for every day. It is the best desktop calendar, download now! Quickly and easily manages Appointments, Tasks and Notes even if the main program isnt running. Also reports on what applications and files you used during any day, week or month - great for people who have to produce timesheets. 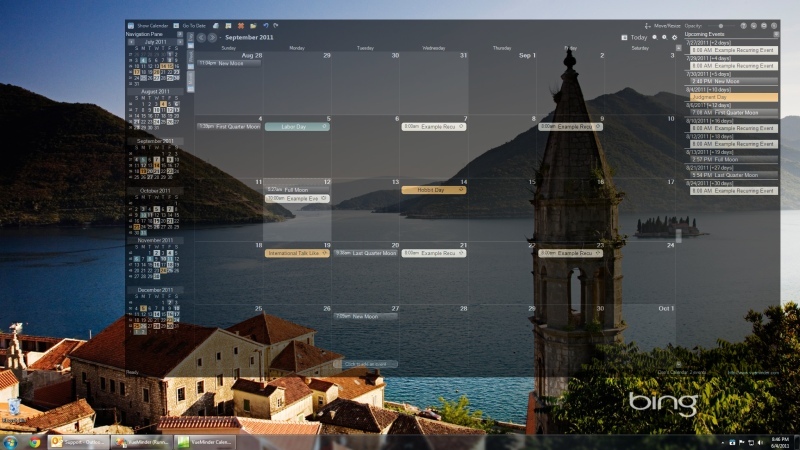 VueMinder Calendar Lite is a FREE calendar and reminder program for Windows. 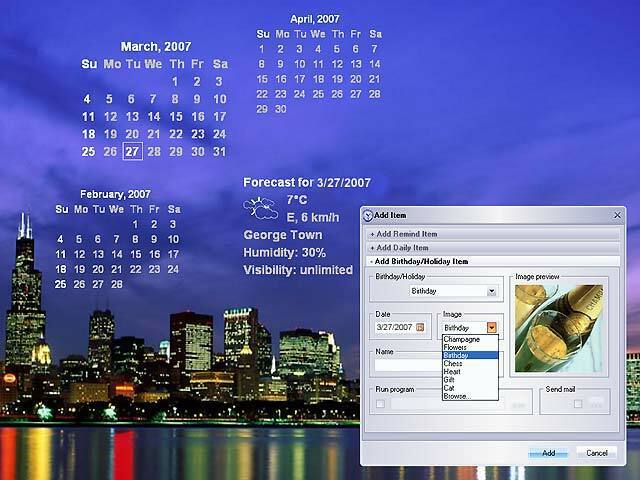 It integrates a semitransparent calendar into the Windows desktop. It also allows calendar subscriptions over your local network or the web, as well as Google Calendar sync. This intuitive time management software provides possibility to organize tasks, planning a day using previously defined to do items, tracking daily mood changes via colors and prepare various time reports for printing. 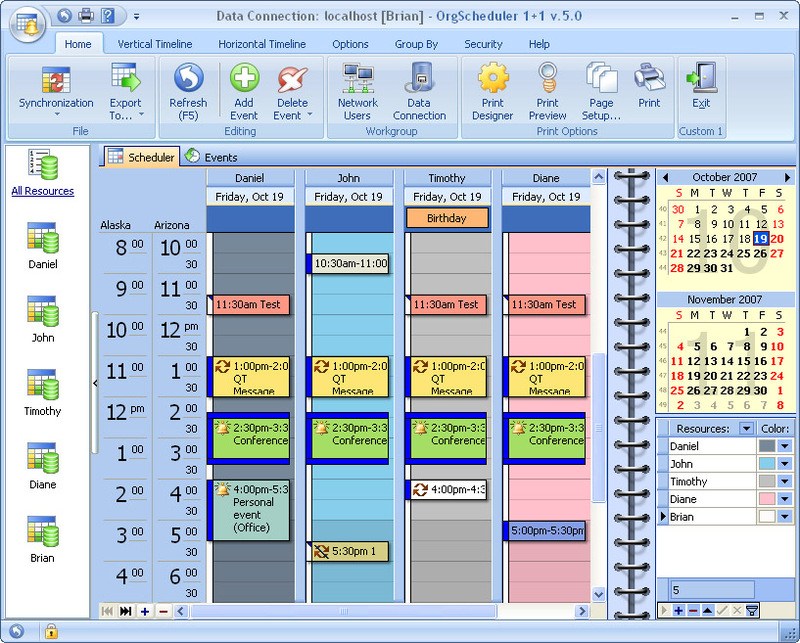 Full Contact is an multi-user, multi-location calendar / contact manager. Both foreground and background colors are definable for users and resources. The contact manager leverages unlimited definable categories plus quick-and-easy lookups. 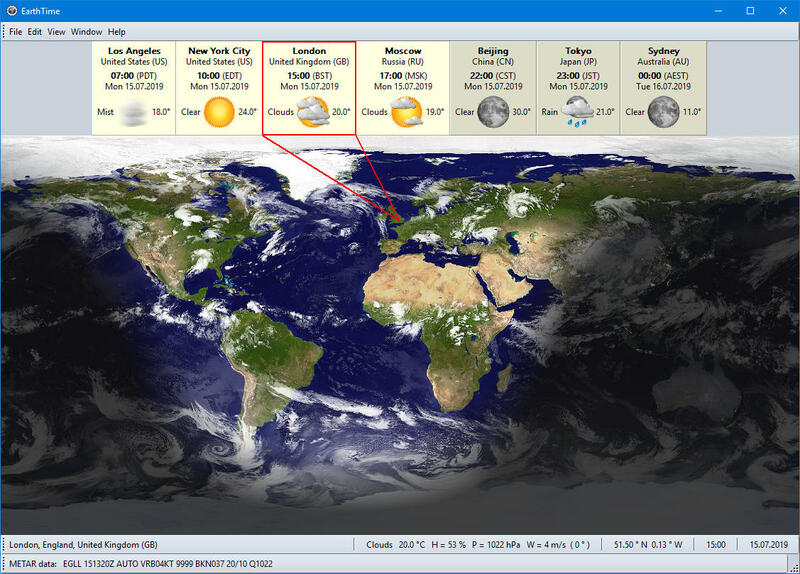 Version 3.0.9 + Weather Click to Register this Product Now! Family Runner will handle everything your family does, keep a handy list of names, addresses and phone numbers, and prepare a wide variety of calendars and other reports. And much, much more. Version 1.3.7 Click to Register this Product Now! Version 7 Click to Register this Product Now! Simplify the chaos of college life with this cool student organizer. Track and organize everything from your homework, tests, degree plan, loans, scholarships, and even your social life. The skinnable interface makes it a fun tool to use. ToDo list, calendar, reminder : simple, useful, and reliable. Keeping track of your important dates and events has never been easier with this desktop reminder. Fully skinnable. Trial version available for download. Printable calendar, reminder, planner and intuitive scheduler will help you to plan your events on a daily, weekly, monthly, or yearly basis. No more missed dates - get reminder or print the calendar! US holidays. Free download & technical support. Kplan is a knowledge management software which helps you organize your life: Your activities, notes, documents, contacts, agendas... are all linked in the same file. Interconnect all your sources of information with Kplan ! Complete all your daily and scheduled tasks on time. TaskPrompt is a task reminder utility. You can add tasks and categorize them. Set the task's occurrence to Immediate, Todo, Minutes, Hourly, Hours, Daily, Days, Weekly, Weeks, Monthly, etc. Version 3.6 Click to Register this Product Now! Using the appointme reminder to remind you email, birthday, appointment, bill and medication.It has daily, weekday, weekly, monthly view to ease managing events. This software also has customizable desktop clock, import/export, print function. Wedding Plans 1.0 wedding planner was built to help you with the somewhat overwhelming task of planning your wedding. Built in address book for entering contact information, guest book , bridal party list, quick links, saves you money. Designed originally for Film and Television Production, The Calendar Planner technology has evolved over four and a half years to be the scheduling tool of choice for individuals and businesses needing an easy-to-use, powerful and flexible solution. Addresses can be printed as labels (all formats), lists or directly on Couvert. Many interfaces to other programs make the simple delivery possible e.g. directly to Winword or Excel with just one mouse click. The Alarm Clock of Justice wakes your computer from standby and hibernation to play an alarm consisting of movies, music, running programs, scripts, batchfiles, and any other file. It supports volume effects, such as fading in. Unlimited alarms. Personal Information Manager. Organize your life with this easy to use software. Write tasks, notes. Nice reminder, cute outlook style report for every day, export/import, xml, html, hotkeys, searching, categories, small requirements. OggSync 2.0 FreeWare provides full 2 way sync from your phone to one of your Google calendars. Full support for repeating events, and changes to those repeating events and uses over the air or cradled connections so you can always be up to date. Version 1.83 Click to Register this Product Now! 024h Lucky Reminder is award-winning reminder software for home and office. Simple Diary for experienced and novice computer users, contains 366 cards for each day of the year and an area to insert "things to do", birthdays, notes, ideas, anything, with the ability to add images, clickable web addresses, shortcuts. Version 3.22 Click to Register this Product Now! This smart desktop clock has also the most straightforward time zone, , reminder and todo list functionalities that you are looking for. Version 1.8 Click to Register this Product Now! Comprehensive PIM suite with many advanced functions. Programs to help you manage your life to stay on top of things. These much required freely available programs are made with advanced functions in a simple and powerful automated interface. Creates an active calendar with your logo, info and images as desktop wallpapers of your clients. It can be a power marketing tool for your company promotion. Version 2.3.9 Click to Register this Product Now! Version 7.1 Click to Register this Product Now! Create custom desktop with built in active calendar (small or large and even transparent) just over wallpaper, with the useful to-do list in the day cells. Change background with any period. Print the calendar or notes. MS Outlook synchronization. Create custom desktop with built in active calendar (small or large and even transparent) just over wallpaper, scheduling in MS Outlook. Change background with any period. Print the calendar or notes. Version 2.4 Click to Register this Product Now! 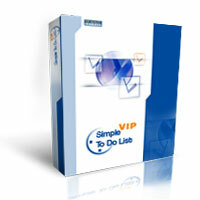 VIP Simple To Do List is an easy tool for planning of your daily life. The program lets everyone who wants to stop wasting time and bring life in order quickly manage everyday tasks with help of prioritized to-do list. EzReminder is a reminder software including shutdown tool, you will never forget your important tasks, meetings and anniversaries anytime anywhere in your office, school or home.It also allows you to automatically shut down, reboot. Version 4.13 Click to Register this Product Now! This skinnable PIM includes talking alarm clock, scheduler, calendar and timer. The alarm clock can remind you about important events by playing your favorite music or video (MP3, MPG, AVI, etc.). Asrology. The calendar includes zodiacal signs. Never miss important appointments again while working at the computer. QwikAlarm helps you keep track of time when you are busy. Quick and easy and best of all, free. The computer timer, alarm clock and calendar all in one. With the proper planning, your wedding day will be the best day of your life! Put the pen and paper away and use the best tools available to plan your big day. 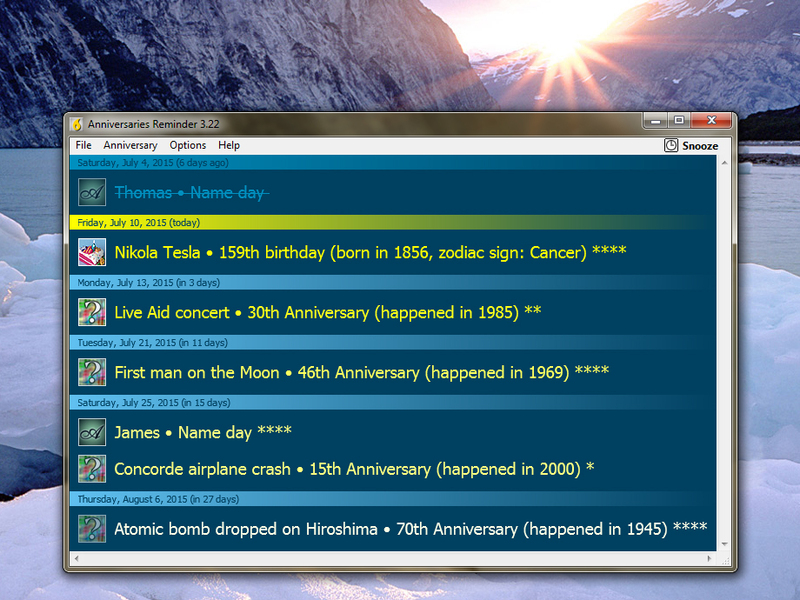 Advanced Diary is so much more than just freeware! The features of this program make it a more than worthy rival to all the costly journaling programs out there! With rich text, password protection, ability to insert photos, and much, much more! AWS (Angels Web Solutions) Desktop Clock is our very own clock utility for your desktop. We offer it FREE of charge for Unlimited trial days. Clock has 5 skins, rings every hour, display different verse every time you open it. Appearance the clock, is limited only by your imagination. The analog dial is supported. The clock give in your order: a multipurpose alarm clock, a stop watch, a calendar, a notebook, function " Atop of all windows ". Version 2.43 Click to Register this Product Now! 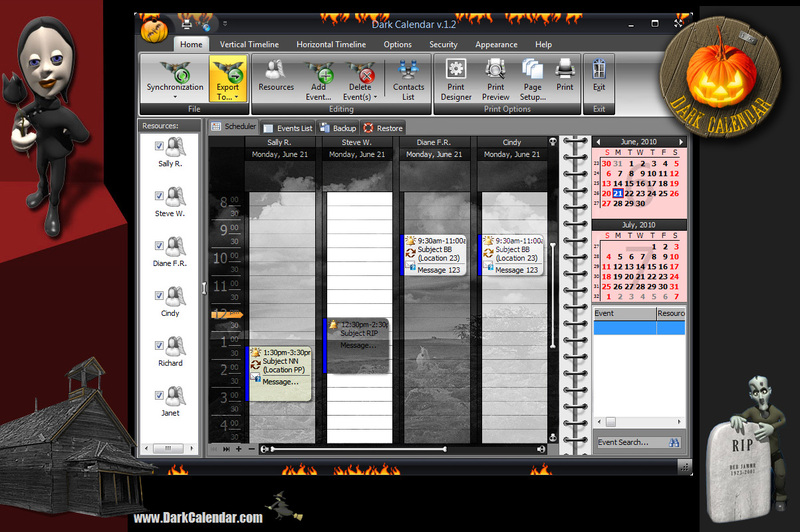 CalendarPro is an easy-to-use calendar designed for Microsoft Windows that allows you to quickly look up dates and set reminders for yourself. CalendarPro is a fast utility with little overhead, and stays quietly out of your way until you need it. Version 1.2.0.54 Click to Register this Product Now! Alive Task Manager is a genuine electronic task scheduler, which can be used to create new tasks, view the task schedule for an arbitrary date, remind about specific events, repeat tasks, etc. 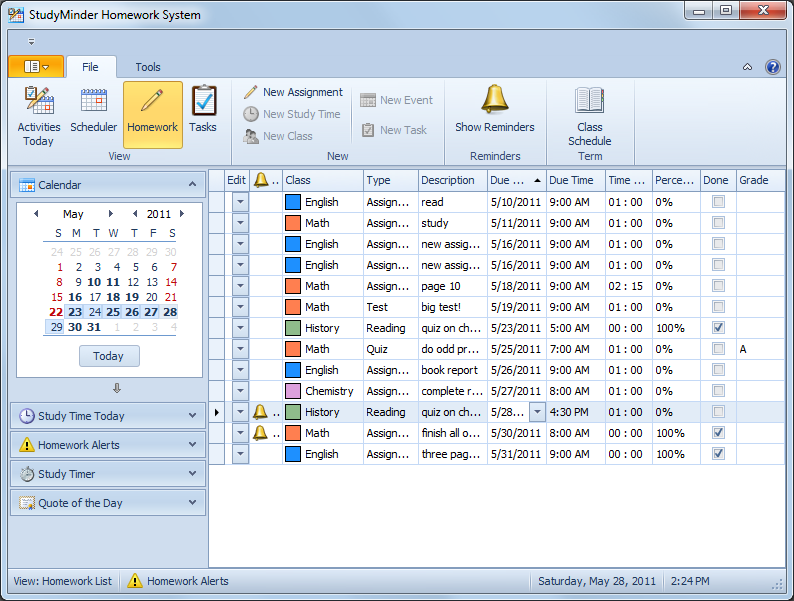 StudyMinder LITE free student planner for Windows helps students get organized and get better grades. StudyMinder tracks each assignment and records total study time. The program displays the amount of time required to prepare for class each day. Version 2.3 Click to Register this Product Now! XDeskCal is a pretty,fully customizable calendar and PIM features Todo-list,Appointments,Alarms,Holidays and displays its data on your desktop. Talking Reminder will keep track of your important events and remind you about them using speech, sound, alert window, email, or file execution. Talking reminder is fun, easy to use and completely customizable to fit your needs. Version 2.0.0.8 Click to Register this Product Now! New simple-to-use task management tool ... Put today's tasks at your finger tips, displaying only one day's tasks at a time. ToDo Today is a task manager specifically geared towards people whose schedules differ wildly from day-to-day. iMagic Tour Reservation - tour reservation software that is affordable and simple to use. iMagic Tour Reservation was developed for the needs of small to medium tour management. YearPlanner manages, organizes, and presents calendar based events-data for individuals, groups, and organizations. It can be used as a diary, scheduler, or project management tool. It uses the classic Year Planner layout. Secret Gift Exchange is a Secret Santa website that helps families and groups match up individuals for gift exchanges without the hassle of drawing names from a hat. Staring at a computer screen for hours a day, it's easy to lose track of the time, so here's our solution - an elegant wood desktop clock with an awe-inspiring metal chime. Room & Equipment Booking web based software. Ideal for businesses, schools, colleges etc. Easy to install and set-up. Simple to use, no training required. Create bookings with ease from your web browser, ensuring your equipment is ready when you are. Version 1.6 Click to Register this Product Now! EssentialPIM Pro is the advanced version of EPIM, used by many thousands of users all over the world for organizing their personal and business lives. EPIM Pro features functions in demand from our huge group of EPIM users. Version 2.31 Click to Register this Product Now! Chronos fills a gap in PocketPC operating systems by offering an unlimited number of alarms and timers with customizable sound (MP3 and OGG) and time settings. Two countdowns with lap times lets you track time spent on certain tasks. Obtain sunrise, sunset, moonrise, moonset, lunar phase, and local time for any place in the world - just click the map. This calendar calculates celestial events for nearly any date or place and offers reminders, a daily quotation, and a greeting. Manage all your Tasks and to do items with unbelievable simplicity and power. Keep both systems in sync. Manage unlimited number of tasks and Folders in a familiar Windows Explorer format. Format the look and feel of each Task. Version 2.9.0.631 Click to Register this Product Now! This is a powerful and easy-to-use PC clock synchronizer. It works with time servers on the Internet. It can update PC clock at certain time intervals, supports proxy servers, auto-dialing, works as a local time server and can be launched as service. Achieve Planner is a time management software system that helps you get organized, increase your productivity, and make better use of your time. 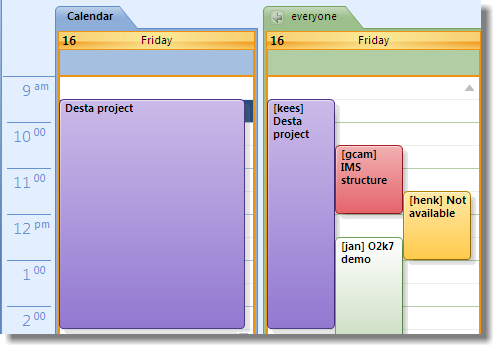 It features a hierarchical (multi-level) project/task outliner with a weekly calendar. Version 1.0.62 Click to Register this Product Now! Diary Book allows you to write a diary on your computer. There is a diary editor, events reminder, alarm clock, address book , picture manager, built-in mailer, HTML, web diary and to-do list. Automatically converts text containing date, time and appointment data into calendar entries. 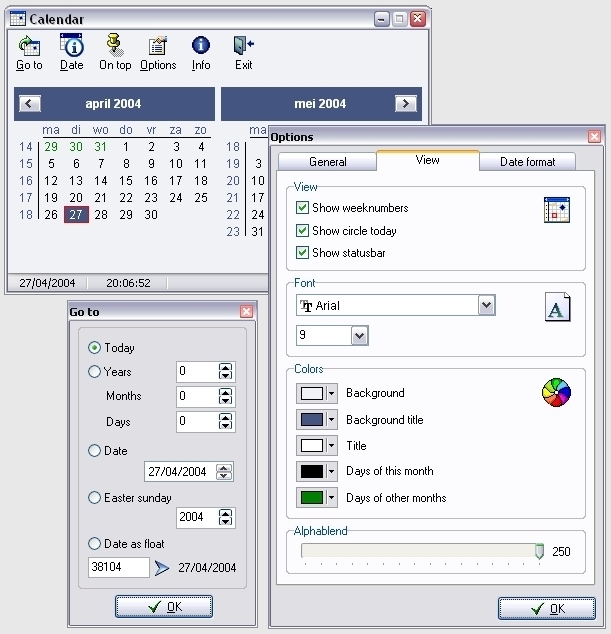 Supported calendar applications include Microsoft Outlook, Lotus Notes and Palm Desktop. It is a user-friendly calendar, address, and reminder program that can be accessed quickly from the Windows system tray. You can create almost unlimited notes, enter repetitive tasks, create To Do lists, and set alarms. JJ Reminder - Free MP3 Reminder for your computer. As an A-class Organizer user, you'll have no problems finding notes. Quickly find the necessary note without having to remember its location. A-class Organizer can be used for managing notes, addresses, phones, passwords, etc. Fast, convenient and nice looking information management system, featuring hierarchical textual and visual data representation regarding your contacts, tasks and notes. Chronos fills the gap in Windows Mobile operating system by offering unlimited number of alarms and timers with customizable sound (MP3 supported) and time settings. Two countdowns with laptimes will let you track time spent on certain tasks. orangeTask 2005 is an easy to use organizer, where you can quick access and edit your tasks. Version 1.82 Click to Register this Product Now! NeoN Reminder is an attractive, powerful and easy to use reminder and calendar software. Yearly, monthly, weekly, daily or one time reminders with configurable intervals. Configurable user interface. Create and print timetables for school and other activities! Simply select number of days, enter your times and subjects, select design, colors and fonts, save for later reuse and printout as many copies as you like. Ready! I was given an ThinkGeek Binary clock at christmas, and it was nice, and fun, but lacked the important things from my point of view that you need to be able to learn how the clock is telling the time easily. So I created this software Binary Clock! Plan and track everyone's schedules and to-dos in one place. Easily access from anywhere. Get cell phone reminders. Rich, continuously updated weather and bonus photo and web players make it a great dashboard for families and workgroups. Version 2.17 Click to Register this Product Now! Program generates a timetable for a faculty of a univercity. Free Notes is a easy to use reminder for Windows. With Free Notes you can create notes displaying on your desktop. Your notes can be displayed immediately after creation or in the certain moments of time. XPClock is a digital desktop clock with a calendar. Very simple interface, plus periodical update skines, chime function, alarm, indication CPU usage. 1. Vividlife helps to clarify your goal. 2. to formally write down what you are going to do is an investment of determination. The more the investment is, the more responsibility to achieve the goal. 3. formally written jobs are not easily forgotten. Ajour is an easy-to-use personal information manager (PIM). Use it as a combined calendar, diary, organizer, and reminder. Keep track of dates, appointments, annual events like birthdays, todo items, and notes. You can also dial phone numbers stored. Need a reminder to make a call, go to a meeting or just not to miss a TV program? Want to be waked up or fall asleep by listening your favorite mp3 songs? Or have your own custom Big Ben chimes? Computer Alarm Clock can do these things for you! Version 3.10 Click to Register this Product Now! The program Power Notes Lite is a multi-featured scheduler, reminder, organizer for Windows allowing you to create electronic stickers and display them when the time is due. The program is very easy to use and has low system requirements. Version 1.0.2 Click to Register this Product Now! Manage multiple Diaries at the same time, Appointments (Doctors, Hairdressers, Garages, Tradesmen, IT Support, Delivery Services). Resources ( Meeting Rooms, Computers). Time Recording/Billing (PR, Accountants). Day to Day Project Management. 9.95 CLOCK is a beautiful, versatile, and highly customizable alarm clock application for your Palm OS handheld. With multiple timers, alarms, and time zones, it is perfect as a desk, bed, or travel clock. Version 1.00 Click to Register this Product Now! Kiss goodby to that slow XP dialer or the 4 speed dial limitation of the 98 dialer. 101 Contacts gives you 30 speed dial numbers. Each contact can also have an email address so you can dial or email from the same place. QB - French is an easy to use Windows XP program that lets you expand your French vocabulary. Contains over 600 French words and expressions. The material is divided into 17 topics. 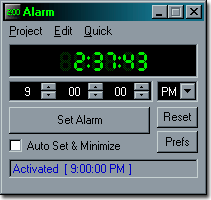 This program displays the current time in a large easy to read display. This program is perfect for people who have a hard time reading the time display on the PC and prefer a digital display. The text and back ground color are customizeable. Easily to use, Voice remind, Pop window remind, Desktop Clock "Never miss Mother's Day or a Birthday Again!" An electron reminds the tool. It can help you to remember everything And the proceeding remind. Version 2.5 Click to Register this Product Now! Why not wake up to your favorite MP3 music, at different times on different days of the week? Or be reminded of important dates, like birthdays, that you only have to record into your computer once? Computer alarm clock can do these things for you! Women's Health Troubleshooter allows estimating the probability of disorders in female patients, based on a set of answers to Yes/No questions. Life Organizer enables individuals and families to organize their lives in a way that is easy and takes very little time. Birthdays, meetings, appointments and special events will be accurately scheduled and remembered. Never miss an important event. SDATimer is multifunctional digital countdown timer, clock and stopwatch. The key features are: Skins support. Calendar with Sunrise/Sunset time, Moon Phase. Easy to set time. AutoHide feature. Flexible setup actions. It is 'must have' product. Version 2.12 Click to Register this Product Now! TimeChimes will play a sound or sounds at pre-scheduled times of day on each day of the week. Typically, TimeChimes can used to play school bells or shift-time sounds in factories, churches or businesses. ChronoControl protects your health and eyesight when working at the computer and guards your children against the negative influence of computer games (both from physical health risks and psychological dependency). Never double book a meeting again. Avoid conflicts associated with scheduling management. View by day, week, month or year at a glance. Free trail download. NudgMe - a very simple to operate reminder program that will pop up on the date and time you have asked it to with a persistent cuckoo. He will keep annoying you until you click either the 'Done' or 'Change' button. HiContacts is a sophisticated online contacts manager, for easy sharing & storing of contact details of companies & individuals. This application allows you to follow a soccer championship or cup. You just have to fill in game information (or download it directly on the website), and then the application gives you many ranking and statistics on that championship. Version 3.00c Click to Register this Product Now! The Easy Print Calendar by UUBA.com does two things -- Print a variety of calendars and planners for those of us who like to work with paper; and provide simple month-at-a-glance calendar on your desktop. Features day-of-year, date spreads, and more. Extends TaskBar clock(Uses skins for it). Alarms (with sounds,messages,CD player,Speaker melodies and others features). With 1-More PhotoCalendar it is easy to create individual photo calendars of high quality. Within minutes you can create a complete calendar of your last summer vacation. Or create an art calendar containing the best pictures of your digital camera. Personal journal recording your daily events. With powerful word processing feature such as formatted text, embedded images and tables you can easily capture the moment to be viewed by yourself or shared with others at any time in the future. Personal Data Pro is a complete, user-friendly, and intuitive Personal Data Manager for everyday people wanting to manage everyday things. It could literally replace 54 different programs on your PC! Version 1.3.1 Click to Register this Product Now! This easy-to-configure program will notify you of certain events. With its simple and intuitive interface it's great for those anniversaries, birthdays, meetings. Automatic appointment reminder by phone from Microsoft Outlook. A FREE Outlook addin that takes advantage the telephony capabilities of Voicent Gateway, a VoiceXML gateway from Voicent Communications. Free version available. Never miss an app again. Version 1.51 Click to Register this Product Now! EzCalendar is a skinnable desktop calendar that has on-calendar event reminder, moon phase, sunrise/sunset time and holidays. You can access it from system tray. The event reminder alerts you of important dates and times. The HVFULLSC package allows you to replace the poor quality full screen OEM VGA hardware fonts provided in Windows Codepage Information files and Video Graphics card's ROM BIOS with Procon's High Visibility HVFont. Pink Calendar is an fast, fun and easy to use Calendar and Day Planner program. The calendar is small enough to leave on the desktop. Click on it to open a day planner, type and entry and close (changes are saved automatically). Other cool features. Version 1.3 Click to Register this Product Now! Never loose track of those important dates again. Remind yourself of special events, birthdays or even that important meeting. Then plot your day in the password protected journal to archive your precious memories. Version 2003 Click to Register this Product Now! NaturCalendar is simple, intuitive and reliable calendar software and scheduler. The calendar can display standard (common) with Jewish (Hebrew) calendar dates and major Jewish holidays. It can generate and publish calendars to the web using HTML files. The Cover years are 900: Common 1600-2500, Hebrew 5360-6260. Calendar is a small but easy program which should be a standard accessory of the operating system. Use Calendar Builder to quickly and easily make your own custom calendars:- supports recurring birthdays, anniversaries, holidays, etc. - add borders, banners, graphics, and icons.- save your calendar as a Windows Bitmap file or JPEG file. Keep track of all those birthdays and anniversaries! Friendly birthday calendar and reminder. WebCoffer is a really trustworthy data-coffer that helps you keep any business and private important data safe and secure, these data include your contacts, notes, private diary, passwords, bank accounts, confidential documents, personal albums. A very useful and simple software to manage addresses, phone numbers and birthdays. Version 1.07 Click to Register this Product Now! CuteNotes reminds events from every 1 minute to several years, automatically checks up to 24 e-mail accounts, has a calendar and much more. More than a simple Diary or a PIM. It is instead a total personal information manager. It can be as simple or as extensive as you want it to be and it can be fully customized to meet all your current and future needs. Eyes Care is designed for the computer users to protect eyes while using computers, especially for those who usually keep sitting in front of a computer for more than 1 hour. The HVLJFont soft fonts are for HP Laserjet printers that do NOT provide fixed pitch fonts that are scalable, or sufficiently legible. Plan your daily activities. It will alarm you by sound and popup dialog. You can set standard event occuring one time and recurrent events occurring more than one time. 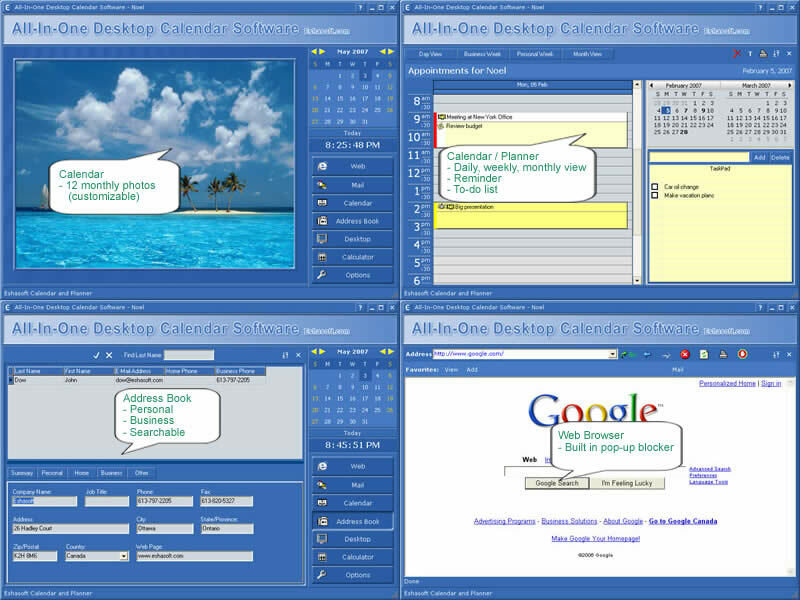 It has customizable desktop clock calendar and support instant message. RemindMe will remind you and others of all the things you/they want to remember. RedDay is a convenient events reminder. A Tale of Two Cities, by Charles Dickens. British barrister Sydney Carton lives an insubstantial and unhappy life. He falls under the spell of Lucie Manette, but Lucie marries Charles Darnay. shows the working time on your computer of the last 3 weeks graphically. Fast, simple-to-use calendar and task list to help you create reminders, alarms, and multiple to-do lists. Always On Time's small graphical calendar features custom event icons and easy-to-use reminder options. Multiple alarms can be set to run at various dates & time, displaying your own message/notes & playing your own sound file. It can be configured to run at designated periods. Perfect for reminding you about events, deadlines, TV show schedules, etc.